Leafing through designer magazines of the day, you can't help but seeing wood flooring being installed in kitchens. 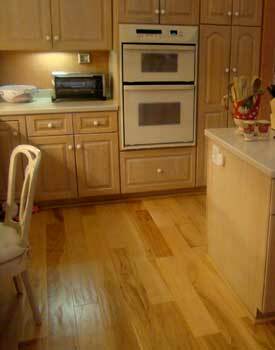 Times havechanged with kitchens and wood floors becoming more of an everyday design item. 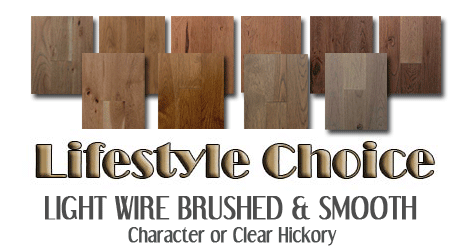 Often on many minds is what's the best hardwood floor for a kitchen? What Types Are Often Used? 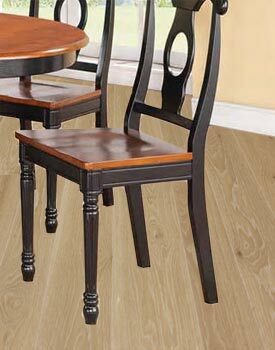 Hardwood species offering tighter grain patterns are often used in kitchens as they will hide everyday damage that may occur. 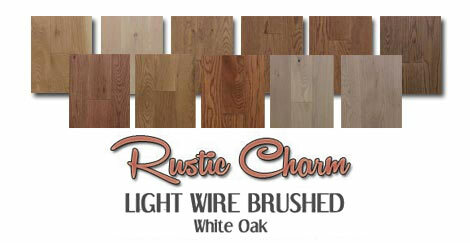 Other more open grained and lighter colored hardwoods in the likes of Maple and Birch should be avoided unless you live in a careful household. In recent years designers have been taking the business by storm utilizing hand scraped, reclaimed, or distressed wood flooring. 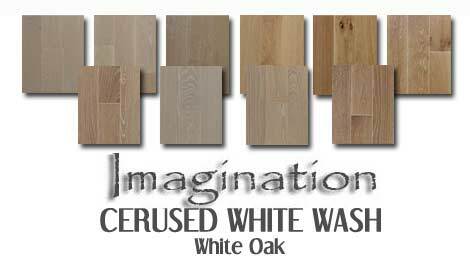 If you're set on lighter colored hardwoods for the kitchen, there are a slew of lighter color choices today in grays and off whites shown above in our Imagination Key Largo random plank. They are not as distressed as other hand scraped floors, but lightly brushed, bringing out a grain visual and texture that works well in concealing damages that can occur. Distressed products are the ideal choice for kitchens as their characteristics are almost like a pre-planned solution to the inevitable heavy traffic kitchens get. A few pots and pans are dropped. Normally the one that bought the light colored smooth floor will be shrieking at the sight. 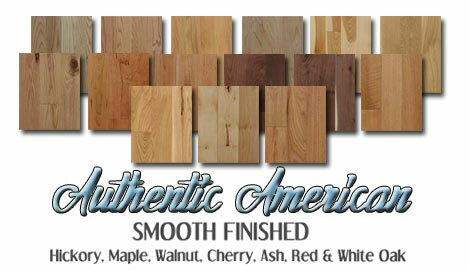 You on the other hand may shrug it off as any damage actually adds to the character of many hand scraped floors. Are there any advantages? 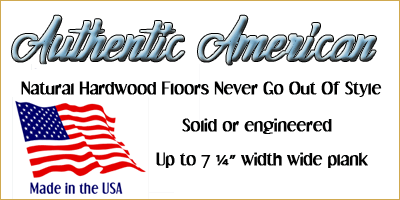 With most prefinished floors you'll be dealing with micro bevels that can catch dirt opposed to a smooth sanded and finished floor. 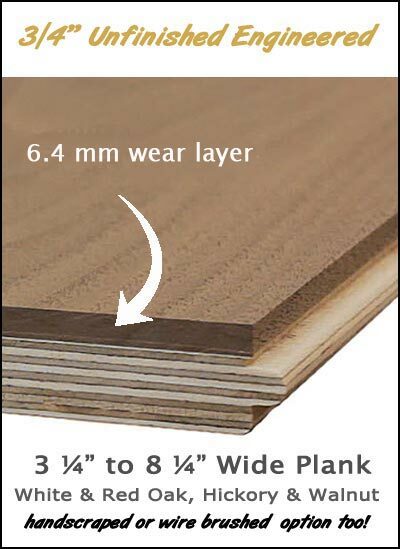 Aluminum oxide type finishes applied in factory controlled settings with prefinished hardwoods will be more durable in regards to actual wear ability, but not damage protection. 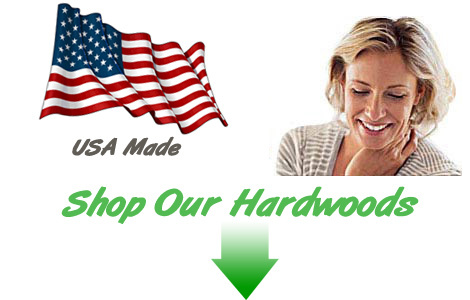 On site finishes in terms of impact resistance are basically similar with the exception of a moisture cured urethane. 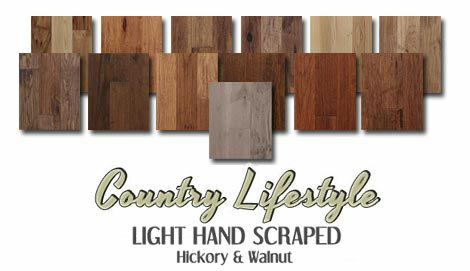 Moisture is always a concern when using hardwoods in these areas. As mentioned numerous times on our site, prevention is the key. For kitchens, utilize area rugs near all water sources. If you should live in an older home it may be wise to call in a plumber to check or update any older plumbing connections. Some folks think ahead of time. What kind of floor would be easier to get repaired should we have any water damages or major dents that require spot replacements? Many would think floating floors, but that's not necessarily the case unless we're referring to a lock and fold type. 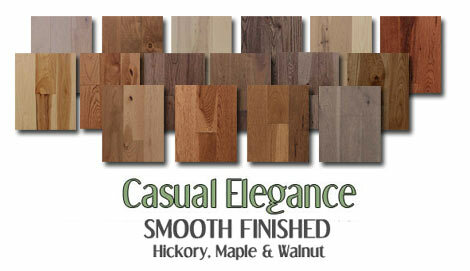 Easiest would be any prefinished nailed floor providing you have left over material that matches the color.